It takes millions of years to create the PERFECT ring. 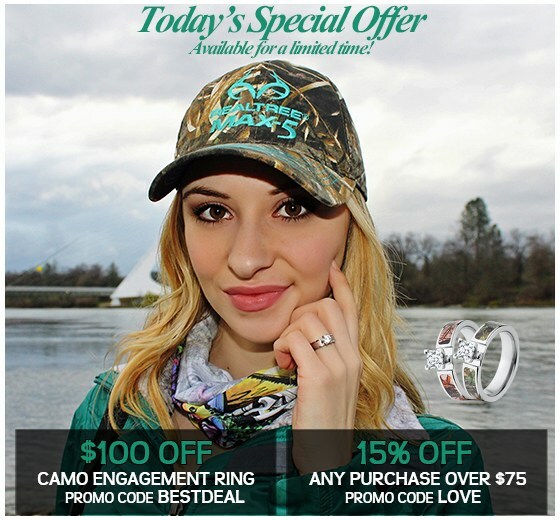 Just A Few Reasons To Choose The Jewelry Source. Best Warranty On The Planet! What Do You Want His Ring TO Say? Largest Selection On The Planet! 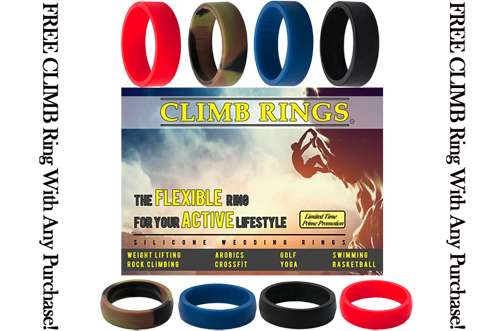 FREE CLIMB Premium Band With Any Purchase. 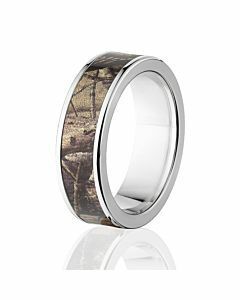 Made In The USA Offically Licensed Realtree Camo Rings. 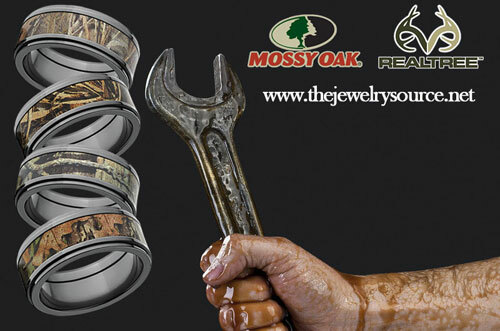 Licensed Mossy Oak Camouflage Engagement Rings & Camo Rings. 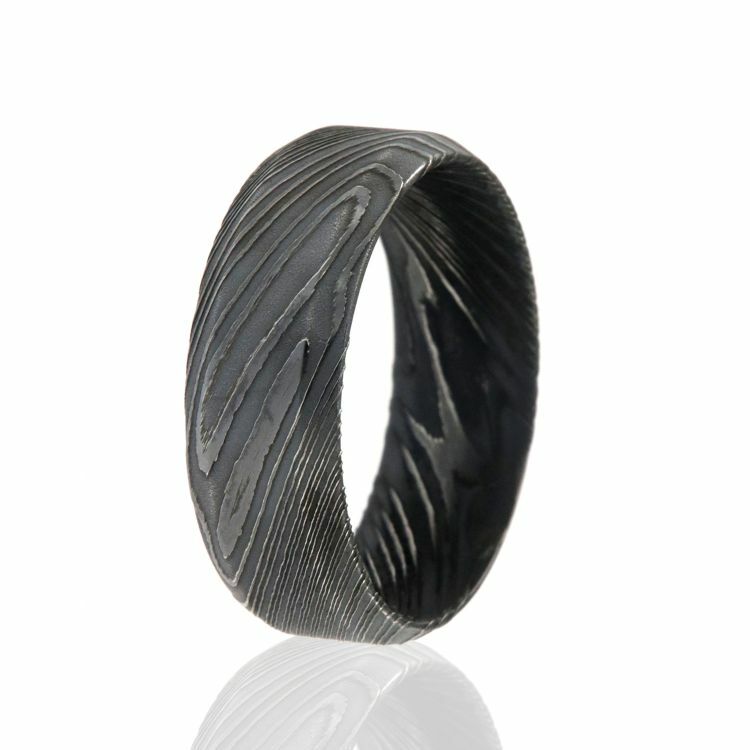 Titanium Rings with Carbon Fiber Inlay. 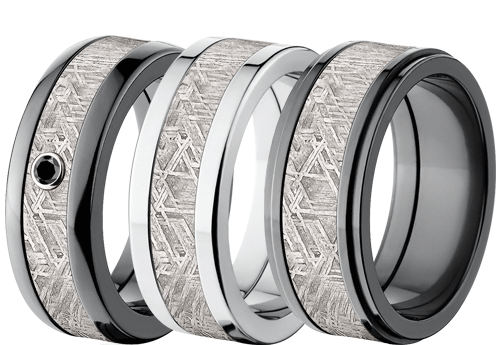 Ceramic Rings with bezel set Diamonds. 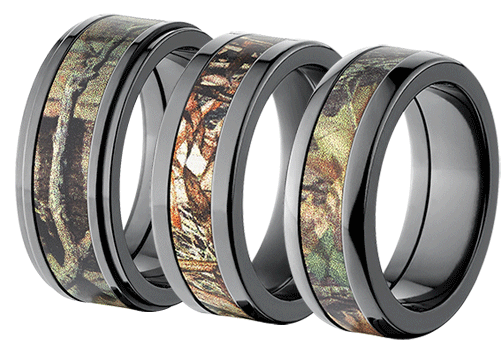 Military Matte Non-Reflective High Impact Bands. 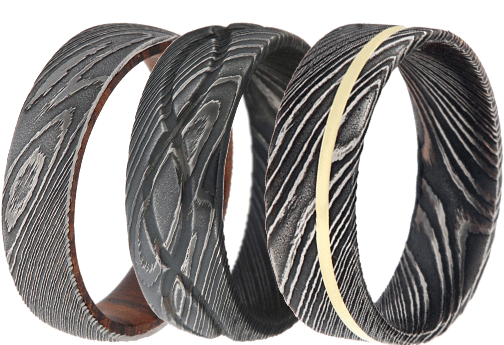 Cobalt Rings with Exotic Wood Inlays. 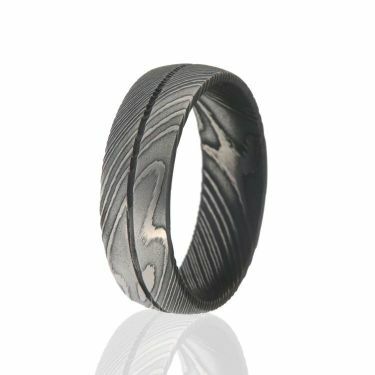 Damascus Steel Rings in numerous unique patterns. 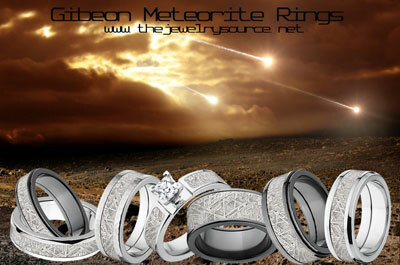 Meteorite Rings from a far off galaxy. 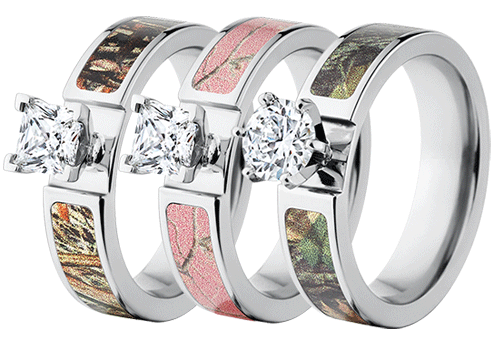 Custom Animal Track Rings. 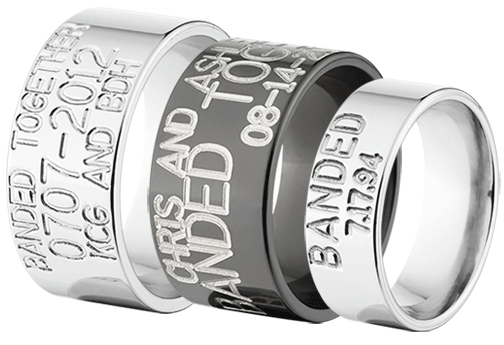 Our Titanium Rings are made by skilled jewelers, who ensure every groove, finish, edge and comfort fit is contoured to exact specifications. 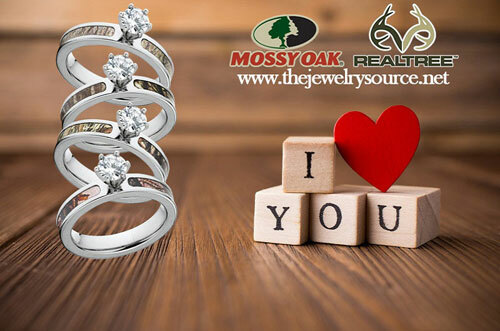 We at The Jewelry Source understand that in most cases you are purchasing a keepsake to mark a special occasion in your lives. We handle each piece of jewelry with this in mind. Giving our own loving care and attention through each step, ensuring a piece of jewelry that will last a lifetime. 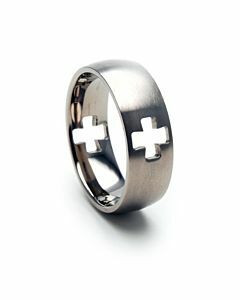 Titanium Rings are light, durable and hypoallergenic. 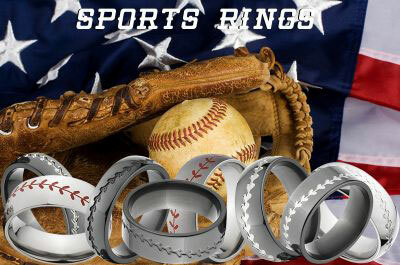 TJS Titanium Rings do not dent or scratch as easily as platinum, silver and gold. 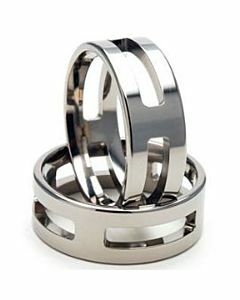 At The Jewelry Source, we use 6AL-4V Titanium or Aerospace Grade Titanium for our USA Made Titanium Rings. 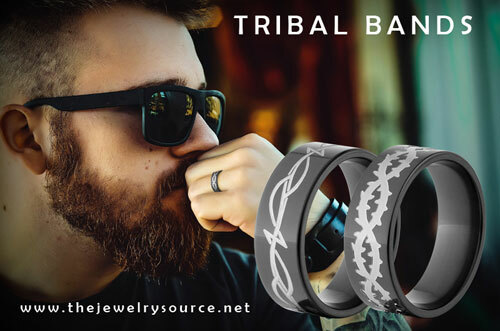 The Jewelry Source has recently launched its High Tech Series? 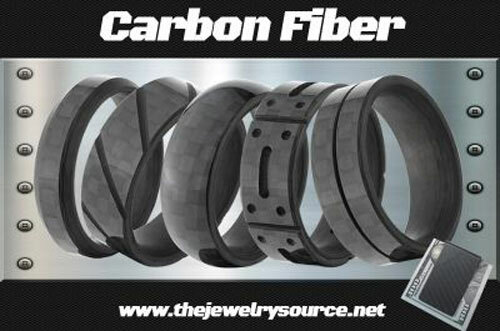 of Carbon Fiber rings and bands. 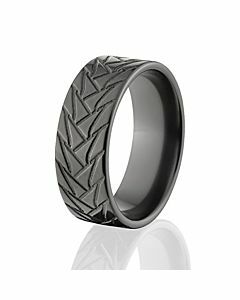 With this collection, Carbon Fiber is inlayed into Titanium Rings, making the perfect two tone Titanium Carbon Fiber Ring combination. 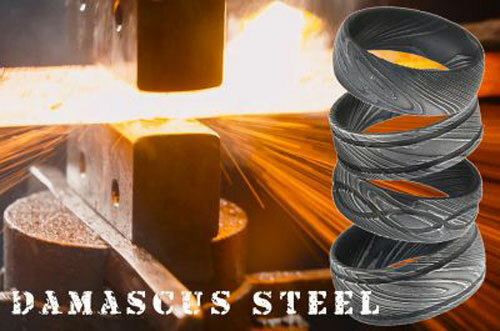 The sleek style and construction of these rings are sure to turn heads. We have also expanded our Finish Line Series? to include many new additions of Tire Treads. 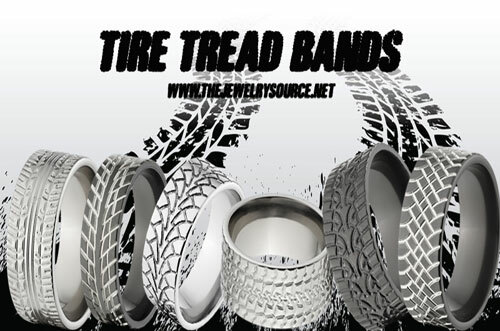 These Treads range from Off Road design to High Performance Racing. If there is a particular style you do not see in this section send us a picture and we will add it to the series. 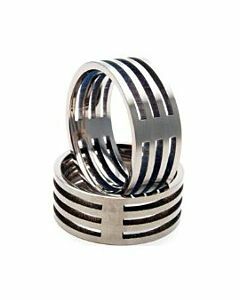 The Jewelry Source is the industry leader in Carbon Fiber, Exotic Hardwood, Titanium, Cobalt Chrome and Black Zirconium rings. State-of-the-art equipment coupled with enhanced laser technology allow us to offer designs that most others only dream of. 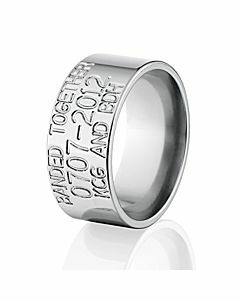 If you want a quality, durable Titanium Band with a great warranty The Jewelry Source is for you. Take a look at our FAQ's for more detail on our custom designs and offerings.